Head Coach Ray Egan has announced his squad for the OMBAC game. 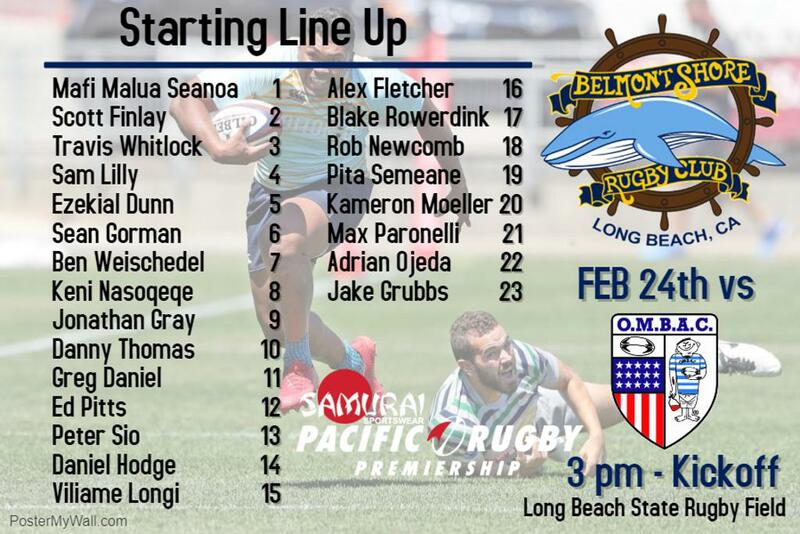 Game will be played February 24th at Long Beach State Rugby Field. Kickoff is 3pm.